Google Play Family Library, the feature that is designed to enable sharing of apps, games, movies, TV shows, eBooks, and audio-books from Google Play with up to five family members, is now heading to India. Google hasn't announced the expansion of the feature, though some users have reported about its arrival in the country. However, the sign-up process for the sharing feature is yet to be activated for Indian users. The feature is mainly designed to rival the Family Sharing feature offered by Apple. 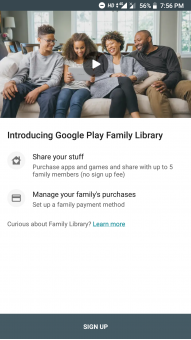 As per the post by AndroidPolice, some Android users in India have spotted the presence of Google Play Family Library feature. The feature exists under the Account section of Google Play. You need to tap the hamburger button from the top-left corner of the Google Play screen and then tap Account > Family to start your family account. By default, the lets you share all the purchased movies and TV shows, but it doesn't include rentals or any music purchases. The collection of books for sharing is also currently limited in nature. Once you'll be able to sign up for the Family Library option, Google Play will start highlighting which are the listed apps and games are eligible for sharing with your family members. 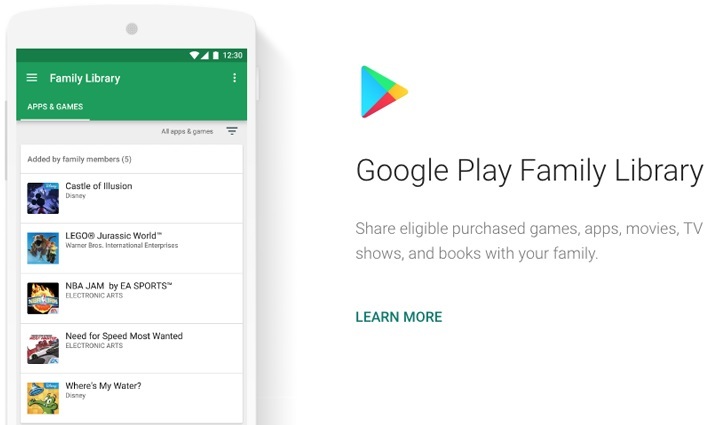 However, it is worth mentioning here that the users who have spotted the availability of Google Play Family Library feature in India weren't able to sign up. Google Play currently shows "Country not supported" error. Notably, we weren't able to spot the feature on our Android devices. The list of supported countries for the Family Library feature didn't include India at the time of filing this story. Google initially launched the Family Library feature for Android apps back in July 2016. 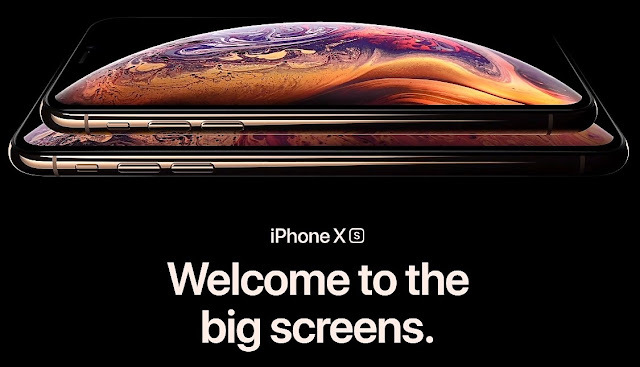 As we mentioned, it is aimed to rival the Family Sharing feature by Apple that supports up to six family members to share iTunes, iBooks, and App Store purchases. The iPhone maker notably brought its feature in 2014 - several months before Google's launch.